Ahmed al-Karbouli, a reporter for Baghdadiya TV in the violent city of Ramadi, did his best to ignore the death threats, right up until six armed men drilled him with bullets after midday prayers. He was the fourth journalist killed in Iraq in September alone, out of a total of more than 130 since the 2003 invasion, the vast majority of them Iraqis. But these days, men with guns are not Iraqi reporters' only threat. Men with gavels are, too. Under a broad new set of laws criminalizing speech that ridicules the government or its officials, some resurrected verbatim from Saddam Hussein's penal code, roughly a dozen Iraqi journalists have been charged with offending public officials in the past year. Currently, three journalists for a small newspaper in southeastern Iraq are being tried here for articles last year that accused a provincial governor, local judges and police officials of corruption. The journalists are accused of violating Paragraph 226 of the penal code, which makes anyone who "publicly insults" the government or public officials subject to up to seven years in prison. On Sept. 7, the police sealed the offices of Al Arabiya, a Dubai-based satellite news channel, for what the government said was inflammatory reporting. And the Committee to Protect Journalists says that at least three Iraqi journalists have served time in prison for writing articles deemed criminally offensive. The office of Prime Minister Nuri Kamal al-Maliki has lately refused to speak with news organizations that report on sectarian violence in ways that the government considers inflammatory; some outlets have been shut down. In addition to coping with government pressures, dozens of Iraqi journalists have been kidnapped by criminal gangs or detained by the American military, on suspicion that they are helping Sunni insurgents or Shiite militias. One, Bilal Hussein, who photographed insurgents in Anbar Province for The Associated Press, has been in American custody without charges since April. Venezuela said Thursday that it has asked the U.N. Security Council for help in its demands that the United States hand over a Cuban militant accused of planning the 1976 bombing of a Cuban airliner. Foreign Minister Nicolas Maduro said that his government is asking the Security Council to take action against Luis Posada Carriles, a militant foe of Cuban leader Fidel Castro who is wanted in Venezuela for allegedly plotting in Caracas the attack on the passenger flight that killed 73 people. "We came to ask the Security Council that it take part in the affair and to ask that U.S. public opinion react to the (U.S. government's) protection of this dangerous terrorist," Maduro told reporters at the seat of the U.N. in New York. 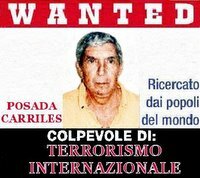 Posada Carriles, 77, a former CIA operative, has been jailed since May 2005 after entering the United States illegally. Maduro reiterated Venezuela's demands that Posada Carriles, who is a Cuban-born naturalized Venezuelan citizen, be extradited to face charges of homicide and treason in the South American country. "We hope that ... 30 years after the blowing up of the Cubana de Aviacion flight that there is justice (and that) Posada Carriles is extradited," Maduro said. A U.S. federal magistrate ruled earlier this month that Posada Carriles should be released pending his deportation to any country but Cuba or Venezuela, where the U.S. says he could be tortured. How ironic that the US do not want one of their own CIA employees taken anywhere and 'tortured'. It seem that the only 'terrorists' that they wish to be tortured are those that they 'claim' are a threat to the United States . The other terrorists, who simply plant bombs on passenger planes killing Woman and Children on behalf of the CIA do not qualify. It is clear that the US does make a distinction between the 'terrorists' and those that harbour them when such terrorists were found to be working for the CIA at the time of their pre planned slaughter of innocents. Hypocrisy is alive and well it seems. Israel is guilty of "collective punishment" of the Palestinian people through its military actions in the Gaza Strip, a United Nations human rights official said Friday. "Israeli action has failed to discriminate between militants and civilians. 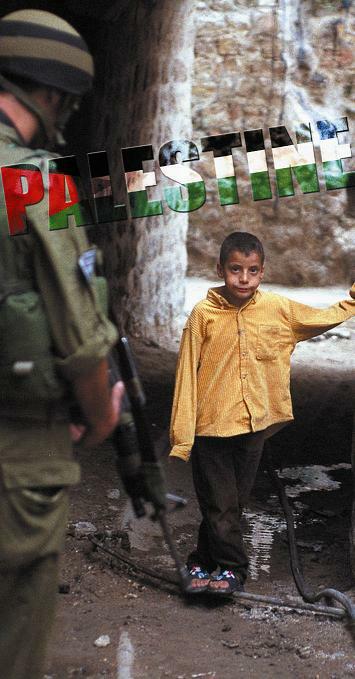 In summary, its action in Gaza constitutes collective punishment of the Palestinian people," John Dugard said. The UN special envoy for human rights in the Palestinian territories told the world body's rights council here that Israel had been engaged in a "brutal military operation" in Gaza since June 25. Some 260 Palestinians had been killed and 800 injured in the operation, he said. Dugard was tasked on July 6 with leading a fact-finding mission to Gaza but he was effectivey refused entry by Israel, officials here said. UN human rights chief Louise Arbour said Thursday that she was poised to visit Israel and the Palestinian territories to investigate the impact of the conflict. 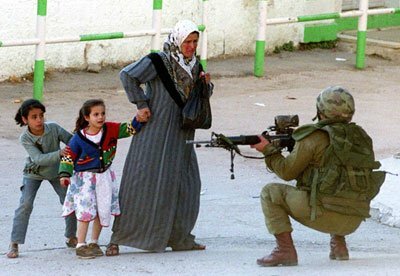 "I have repeatedly expressed my concerns at the deteriorating situation in the occupied Palestinian territories," Arbour said in a speech to the UN Human Rights Council, the world body's watchdog forum. "Soon, I will have an opportunity to conduct a firsthand assessment of the situation," by visiting both Israel and the Palestinian areas, she said, without giving further details. Pray to Bush? Be afraid. Be very afraid. The children at the Kids on Fire summer camp are intent as they pray over a cardboard cutout of President George Bush. They raise their hands in the air and sway, eyes closed, as they join the chant for "righteous judges". Tears stream down their faces as they are told that they are "phonies" and "hypocrites" and must wash their hands in bottled water to drive out the devil. Stop the world, please. I want to get off. Probably the most subversive effect of the privatized jihad was on the madrassahs, many of which were turned into politico-military training schools. The point was to integrate guerrilla training with the teachings of Islam and thus create "Islamic guerrillas." The London-based Indian journalist Dilip Hiro commented in the curriculum of the madrassahs: "Predominant themes were that Islam was a complete sociopolitical ideology, that holy Islam was being violated by atheistic Soviet troops, and that the Islamic people of Afghanistan should reassert their independence by overthrowing the leftist Afghan regime propped up by Moscow." The madrassahs not only opened their doors to Islamic radicals from around the world but also taught that the Islamic revolution in Afghanistan would be but a precursor to revolution in other Muslim-majority countries, particularly those in Soviet Central Asia. 'The skills passed on by trainers to fighters included "the use of sophisticated fuses, timers and explosives; automatic weapons with armor-piercing ammunition, remote-control devices for triggering mines and bombs (used later in the volunteers' home countries, and against the Israelis in occupied Arab territory such as southern Lebanon). [Mamdani quoting John Cooley in Unholy Wars]"
[A] team of Los Angeles Times reporters who carried out an investigation [in 1996] into the aftermath of the Afghan War "over four continents" found that the key leaders of every major terrorist attack, from New York to France to Saudi Arabia, inevitably turned out to have been veterans of the Afghan War. President Bush barely mentioned the war in Iraq when he met with Republican senators behind closed doors in the Capitol Thursday morning and was not asked about the course of the war, Sen. Trent Lott, R-Mississippi, said. "No, none of that," Lott told reporters after the session when asked if the Iraq war was discussed. "You're the only ones who obsess on that. We don't and the real people out in the real world don't for the most part." Lott went on to say he has difficulty understanding the motivations behind the violence in Iraq. "It's hard for Americans, all of us, including me, to understand what's wrong with these people," he said. "Why do they kill people of other religions because of religion? Why do they hate the Israeli's and despise their right to exist? Why do they hate each other? Why do Sunnis kill Shiites? How do they tell the difference? They all look the same to me." The answers to all those questions are simple ones Mr Lott. They are answers that you should have acquired long before the invasion of Iraq. I sincerely hope that expressing such a racist and uneducated comment will be noted by the American people. How can an American senator hold office whilst showing so little understanding of the complexities of the middle east. A new WPO poll of the Iraqi public finds that seven in ten Iraqis want US-led forces to commit to withdraw within a year. An overwhelming majority believes that the US military presence in Iraq is provoking more conflict than it is preventing and there is growing confidence in the Iraqi army. If the US made a commitment to withdraw, a majority believes that this would strengthen the Iraqi government. Support for attacks on US-led forces has grown to a majority position—now six in ten. Support appears to be related to a widespread perception, held by all ethnic groups, that the US government plans to have permanent military bases in Iraq. An undercover investigation by BBC News finds that China has a flourishing trade of organs from executed prisoners. China is becoming the destination of choice for rich foreigners in need of organ transplants. One hospital said it could provide a liver for about $100,000. China has more executions than any other country in the world. Officials told undercover reporters that executions increase prior to National holidays so many organs are available around the holidays. The following video report feature hidden camera footage of organs being sold in China. Since 9/11, the United States has frequently outsourced torture to countries such as Egypt, Jordan and Syria, that are known to use brutal methods. This procedure is called "extraordinary rendition." It is expressly forbidden by the U.N. Convention against Torture (Part I, A. 3.1), which the U.S. has signed and ratified. It also violates section 2242 of the 1998 Foreign Affairs Reform and Restructuring Act. When you outsource a task, you remain the primary agent. If I hire someone to murder another person, I am guilty of murder. George Bush is guilty of torture. The U.N. Convention defines torture as "any act by which severe pain or suffering, whether physical or mental, is intentionally inflicted on a person." Waterboarding would certainly qualify, as would any technique that was really effective at getting information from a terrorist determined to remain silent. The Supreme Court recently ruled that article 3 of the 1949 Geneva Convention applies to al Qaeda detainees. This article prohibits "cruel treatment and torture," and "outrages upon personal dignity, in particular, humiliating and degrading treatment." In his Sept. 6 address, Bush announced that he wanted Congress to "clarify" article 3 by stipulating that it is consistent with his "alternative" interrogation techniques. Find out how much you know about nukes in Europe. Despite over five years of grassroots pressure, Starbucks continues to serve milk from cows that are injected with genetically engineered recombinant bovine growth hormone, also known as rBGH or rBST. Virtually every industrial country, except for the United States, has banned the sale of rBGH milk. Milk produced from cows injected with rBGH poses serious dangers to human health and the general welfare to dairy cows. Similarly, while Starbucks has slowly bought more certified Fair Trade coffee, it represents only a very small percentage of their total coffee (about 3.7%). Starbucks rarely offers certified Fair Trade coffee as their coffee of the day, nor has it followed its own policy of brewing Fair Trade coffee, on demand. Spent all your dough on, you know, food and stuff? Never fear! Levi Strauss is planning two follow-up lines: a $65 to $80 version will hit department stores in early 2007, and a $40 to $60 line will roll out next fall. These plain-jane jeans will, of course, be made with impure cotton and manufactured "all over the world," according to a Levi's spokesperson. My personal policy: if you're gonna buy organic/Fair Trade, only do so from 100% organic/FT companies. If you can't afford the real deal or if you can't be bothered going to the organic/FT shop in town instead of the supermarket (mall for our american friends), then don't bovver at all! It's companies like Star$$$, Levis or Malongo (for our froggy pals) that give FT/organic a bad name, because they are the most visible faces and yet everybody knows they are crooks&liars (even if 'everybody' still buys their products). If I have posted this here, it is because our war on terror (ie. 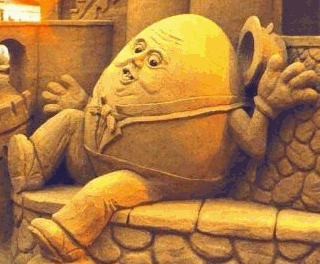 not Georgie boy's) is a long term one. It involves us changing our lifestyles so as not to be dependent on the suffering of others. Up to a million cluster bomblets discharged by Israel in its conflict with Hezbollah remain unexploded in southern Lebanon, the UN has said. 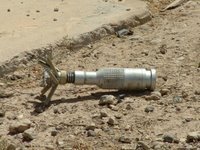 The UN's mine disposal agency says about 40% of the cluster bombs fired or dropped by Israel failed to detonate - three times the UN's previous estimate. The manager of the UN's mine removal centre in south Lebanon, Chris Clark, said Israel had failed to provide useful information of its cluster bomb strikes, which could help with the clearance operation. Mr Clark said information Israel had provided to help with the bomblets' clearance had been "useless". "We have asked for grid references for [cluster bomb] strikes," he said. "We have not received them so far." Somalia's interim prime minister has asked for international help against the "al-Qaeda" and "terrorist" expansion in the country. So what happens when an 'islamist' state fights an 'islamist terror' group? Who do we side with? But in the period of anarchy, the culture changed. After Western aid organizations pulled out, Arab charities rushed in, bringing Koranic-based schools and more religion. 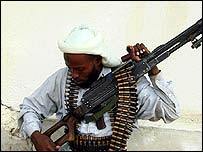 Militant Islamic groups opened camps in Somalia's deserts. According to terrorism analysts, U.S. intelligence officers began hiring warlords to kidnap terrorism suspects and take them to bases outside Somalia. Often the suspects were innocent imams or businessmen who were soon set free. 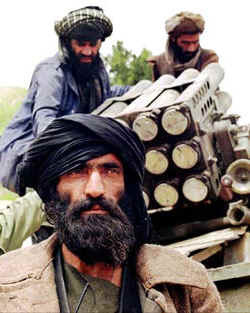 By 2004, the Islamist groups teamed up with clan courts and businessmen to protect themselves from the warlords, calling their alliance the Union for Islamic Courts. Last winter, the warlords announced that they, too, had formed an alliance, the Alliance for the Restoration of Peace and Counterterrorism. It was a well-known fact, buttressed by the annoying aerial drone that buzzed over Mogadishu at night, that they had American support. This played straight into the hands of the Islamists, who quickly built an army called the Shabab, or youth, made up of young, devout fighters, to overthrow the warlords. It's interesting how words are used to suit our needs. Who are the terrorists? 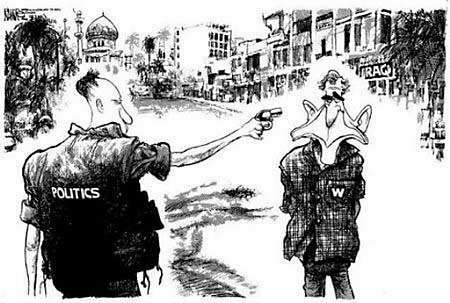 The Islamists? So the terrorising warlords and their purveyors of terror instilling weapons are not terrorists? From Afghanistan in the 80's to Somalia today, who says times are changing? Under a UN-backed framework, Somalia is supposed to have elections by 2009. The Islamists say the sooner the better. They know they are the most popular force in the country. This sounds like the Islamists are only for democracy when they are sure of winning. But what of the British PM who can call an election pretty much when it suits him best? What of the French President who can dissolve parliament pretty much at will when he feels his party has a chance of winning the elections? And what of the Japanese governing party which elects a new leader mid-term hence electing a new PM without consulting the people? Indeed, language is a wonderful thing. Thanks to the people who shot the photos and for making them available for non-commercial use, Beau Bo D'or for Donation Street artwork and the song was by John Farnham. Sorry I failed to get this one out in time but the protest was a wonderful success. I still shudder recalling Lubyanka’s underground cells, grim interrogation rooms, and execution cellars where tens of thousands were tortured and shot. I sat at the desk from which the monsters who ran Cheka (Soviet secret police) — Dzerzhinsky, Yagoda, Yezhov, Beria — ordered 30 million victims to their deaths. Prisoners taken in the dead of night to Lubyanka were systematically beaten for days with rubber hoses and clubs. There were special cold rooms where prisoners could be frozen to near death. Sleep deprivation was a favourite and most effective Cheka technique. So was near-drowning in water fouled with urine and feces. 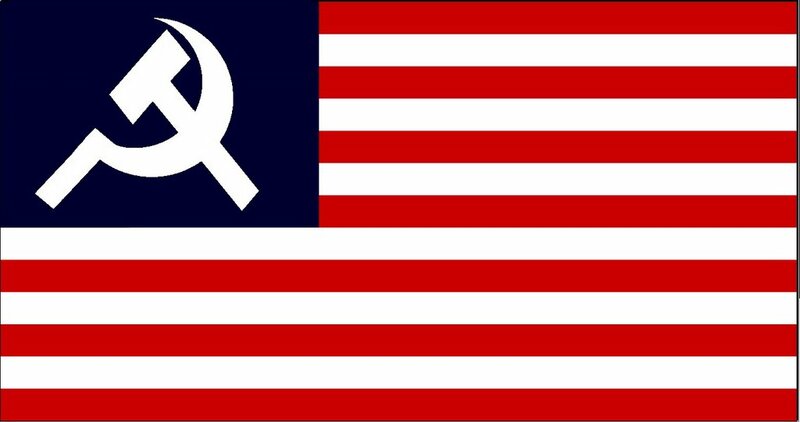 I recall these past horrors because of what this column has long called the gradual “Sovietization” of the United States. This shameful week, it became clear Canada is also afflicted. We have seen America’s president and vice president, sworn to uphold the Constitution, advocating some of the same interrogation techniques the KGB used at the Lubyanka. They apparently believe beating, freezing, sleep deprivation and near-drowning are necessary to prevent terrorist attacks. So did Stalin. The White House insisted that anyone — including Americans — could be kidnapped and tried in camera using “evidence” obtained by torturing other suspects. 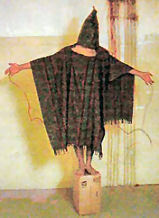 Bush & Co. deny the U.S. uses torture but reject the basic law of habeaus corpus and U.S. laws against the evil practice. 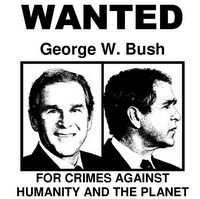 The UN says Bush’s plans violate international law and the Geneva Conventions. This week’s tentative agreement between Bush and Congress may somewhat limit torture, but exempts U.S. officials from having to observe the Geneva Convention. Canadians had a shocking view of similar creeping totalitarianism as the full horror of Maher Arar’s persecution was revealed. Thanks to false information from the RCMP, the U.S. arrested a Canadian citizen and sent him to Syria. 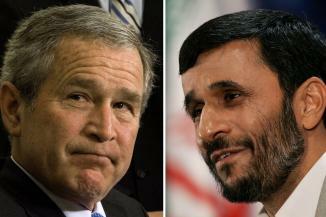 Arab states and Pakistan were being used by the Bush administration for outsourced torture. 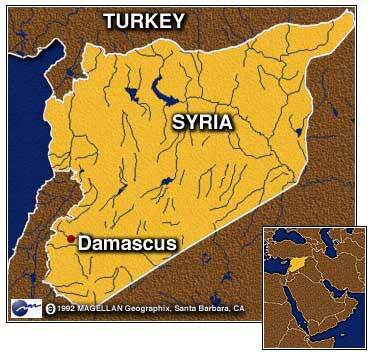 Syria denies the charges. Suspects were kidnapped by the U.S., often on the basis of faulty information or lies, then sent to Arab states to be tortured until they confessed. 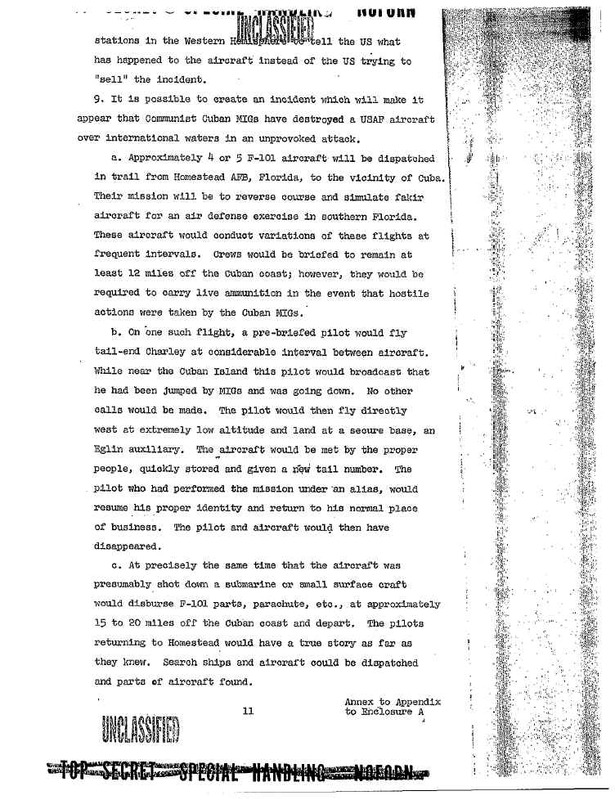 The apparent objective of this “rendition” program? To find a few kernels of useful information. The Cheka and East Germany’s Stasi used the same practice. I never thought I’d see the United States — champion of human rights and rule of law — legislating torture and Soviet-style kangaroo tribunals. I never thought I’d see Congress and a majority of Americans supporting such police state measures. Washington, Jefferson, and Lincoln must be turning in their graves. "Do Americans share with "Bin Laden" some of the moral responsibility for the attack?" "What is the difference between the horror and the violence created by suicide bombers and the horror and the violence created by bombs dropped from 30,000 feet by airplanes?" Can suicide bombers ever be justified? Professor Honderich, Britain's leading moral philosopher, is unafraid to tell the truth as he sees it. Taking what he says is the betrayal of the Palestinian people as his starting point, Ted reveals who shares moral responsibility for recent acts of terrorism, and points a finger at the politicians." A stark assessment of terrorism trends by American intelligence agencies has found that the American invasion and occupation of Iraq has helped spawn a new generation of Islamic radicalism and that the overall terrorist threat has grown since the Sept. 11 attacks. The classified National Intelligence Estimate attributes a more direct role to the Iraq war in fueling radicalism than that presented either in recent White House documents or in a report released Wednesday by the House Intelligence Committee, according to several officials in Washington involved in preparing the assessment or who have read the final document. The intelligence estimate, completed in April, is the first formal appraisal of global terrorism by United States intelligence agencies since the Iraq war began, and represents a consensus view of the 16 disparate spy services inside government. Titled “Trends in Global Terrorism: Implications for the United States,’’ it asserts that Islamic radicalism, rather than being in retreat, has metastasized and spread across the globe. An opening section of the report, “Indicators of the Spread of the Global Jihadist Movement,” cites the Iraq war as a reason for the diffusion of jihad ideology. The report “says that the Iraq war has made the overall terrorism problem worse,” said one American intelligence official. Officials with knowledge of the intelligence estimate said it avoided specific judgments about the likelihood that terrorists would once again strike on United States soil. The relationship between the Iraq war and terrorism, and the question of whether the United States is safer, have been subjects of persistent debate since the war began in 2003. National Intelligence Estimates are the most authoritative documents that the intelligence community produces on a specific national security issue, and are approved by John D. Negroponte, director of national intelligence. Their conclusions are based on analysis of raw intelligence collected by all of the spy agencies. Analysts began working on the estimate in 2004, but it was not finalized until this year. Part of the reason was that some government officials were unhappy with the structure and focus of earlier versions of the document, according to officials involved in the discussion. Previous drafts described actions by the United States government that were determined to have stoked the jihad movement, like the indefinite detention of prisoners at Guantánamo Bay and the Abu Ghraib prison abuse scandal, and some policy makers argued that the intelligence estimate should be more focused on specific steps to mitigate the terror threat. It is unclear whether the final draft of the intelligence estimate criticizes individual policies of the United States, but intelligence officials involved in preparing the document said its conclusions were not softened or massaged for political purposes. Frederick Jones, a White House spokesman, said the White House “played no role in drafting or reviewing the judgments expressed in the National Intelligence Estimate on terrorism.” The estimate’s judgments confirm some predictions of a National Intelligence Council report completed in January 2003, two months before the Iraq invasion. That report stated that the approaching war had the potential to increase support for political Islam worldwide and could increase support for some terrorist objectives. Documents released by the White House timed to coincide with the fifth anniversary of the Sept. 11 attacks emphasized the successes that the United States had made in dismantling the top tier of Al Qaeda. On Wednesday, the Republican-controlled House Intelligence Committee released a more ominous report about the terrorist threat. That assessment, based entirely on unclassified documents, details a growing jihad movement and says, “Al Qaeda leaders wait patiently for the right opportunity to attack.” The new National Intelligence Estimate was overseen by David B. Low, the national intelligence officer for transnational threats, who commissioned it in 2004 after he took up his post at the National Intelligence Council. Mr. Low declined to be interviewed for this article. 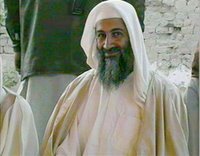 The estimate concludes that the radical Islamic movement has expanded from a core of Qaeda operatives and affiliated groups to include a new class of “self-generating” cells inspired by Al Qaeda’s leadership but without any direct connection to Osama bin Laden or his top lieutenants. It also examines how the Internet has helped spread jihadist ideology, and how cyberspace has become a haven for terrorist operatives who no longer have geographical refuges in countries like Afghanistan. In early 2005, the National Intelligence Council released a study concluding that Iraq had become the primary training ground for the next generation of terrorists, and that veterans of the Iraq war might ultimately overtake Al Qaeda’s current leadership in the constellation of the global jihad leadership. But the new intelligence estimate is the first report since the war began to present a comprehensive picture about the trends in global terrorism. In recent months, some senior American intelligence officials have offered glimpses into the estimate’s conclusions in public speeches. “New jihadist networks and cells, sometimes united by little more than their anti-Western agendas, are increasingly likely to emerge,” said Gen. Michael V. Hayden, during a speech in San Antonio in April, the month that the new estimate was completed. “If this trend continues, threats to the U.S. at home and abroad will become more diverse and that could lead to increasing attacks worldwide,” said the general, who was then Mr. Negroponte’s top deputy and is now director of the Central Intelligence Agency. For more than two years, there has been tension between the Bush administration and American spy agencies over the violence in Iraq and the prospects for a stable democracy in the country. Some intelligence officials have said the White House has consistently presented a more optimistic picture of the situation in Iraq than justified by intelligence reports from the field. Spy agencies usually produce several national intelligence estimates each year on a variety of subjects. 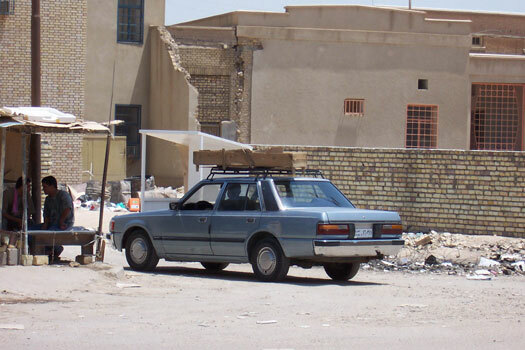 The most controversial of these in recent years was an October 2002 document assessing Iraq’s illicit weapons programs. Several government investigations have discredited that report, and the intelligence community is overhauling how it analyzes data, largely as a result of those investigations. It’s unfortunate that we are still subjected to non-news in this country. I have no question it is a temporary condition that is running out of time faster than I could have imagined. The world at this point is evolving exponentially. “Revolution” is breaking out all over the planet and our media is as usual focused solely on the plight of one white child. Without a doubt, everyone in this country should be watching the U.N. General Assembly. You can be sure the rest of the world is. This is just another example of why people in this country can’t understand why the rest of the world doesn’t “agree” with us. In order to have any kind of dialogue or “understanding” at all is it necessary to at least hear the other perspective before you conclude it must be wrong or “insane”. Americans tend to have considerable resistance to such logic. However the rest of the world is not resistant to this logic and never has been. In fact it’s the only explanation for the current state of the world. Americans have always been given the opportunity to speak and have been given the benefit of the doubt. As a direct result of the world’s openness and forgiving nature, the United States has been able to maneuver itself ( certainly not by honorable means ) into what “appears” to be the sole position of power on the planet. Again, this is pure self delusion and the only reason it can and continues to exist is by the deliberate and consistent effort to avoid seeing anything else. Coverage and commentary on the speeches over the last two days is a prime example. If you’re American, the only thing you know about this two-day event is that George Bush spoke for twenty minutes. He reminded us that 9/11 happened within the first twenty-one seconds of his address ( in case you had forgotten ) and then proceeded to tell us the same thing he has said from the moment this campaign began. The mainstream media’s coverage of this United Nations event has consisted of the same clip of George Bush dozens of times. What you don’t know if you are an American is that a great many others are speaking as well. In fact as what can be construed as another example of disregard for the International Community as a whole, the president’s tardiness precluded him from being the first speaker as was originally scheduled. I won’t regurgitate what George said. He does it just fine for himself and Lord knows he gets enough coverage… But you know what he said. He spoke of the “terrorists” coming to get us. He spoke to the “people” of the countries we have invaded and told them not to believe the “propaganda” that the U.S. is terrorizing them. He told them that “terrorists” live amongst them. He explained that the “peace” they had before they were invaded was not “real peace” and that somehow we were bombing them for their “freedom”. If you are American, what you don’t know is that George Bush is the only one who holds this opinion. Almost without exception, every other speaker from every other country had a message of peace and unity and freedom from oppression. The reason for this global disparity in “opinion” is easy to understand. While we in this country continue to cry “terror, terror, terror,” the rest of the world has figured out that they are the “terrorist”. Every time America is in fear of loosing it’s “freedom”, they are the ones who are punished for it. What makes it impossible for Americans to understand is that we have never ( without exception ) been in that position. The world is tired, and with good reason. We never see it in this country, but the world has been at war for as long as anyone can remember. Oppression has existed for as long as Man has, and we in this country are intentionally oblivious to that fact. We stay oblivious to that reality because to accept it would radically change our way of life and our false opinion of ourselves. Our entire economy is based on slave labor and that should be obvious to anyone who takes five minutes to look. In the event you weren’t aware of it ( for example ), the beans for that five dollar cup of Starbucks coffee you drink were picked by slaves who make two dollars a week. If you have doubts about this reality, I encourage you to look up the things you use on a daily basis. 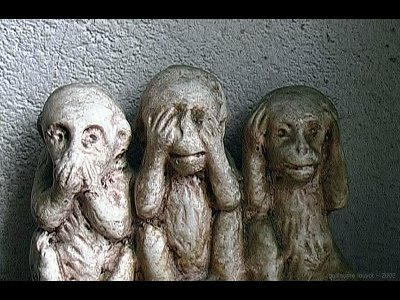 If you find yourself surprised by who, how, and where they are made, it is only because of the denial of which I speak. So while we in this country continue to defend a false reality, the actual reality of our actions and “way of life” is no longer acceptable to the rest of the world. They have already decided… We as Americans just don’t know it yet. The world is quite tired ( and rightfully so ) of being told the only answer to any problem is bombs… Particularly when American problems are the only ones ever addressed and the bombs are always pointed at them. This is not a struggle… it is already done. The World has decided. The World is self-aware and has already decided what the future is. We, as Americans, have to graciously accept that. No war will change the nature of this reality. Bombing one more country’s infrastructure will not make us one more friend and it’s time we accept and understand that. This is not all bad news for the American Dream. As I said before, the World is remarkably forgiving. The World does not want revenge on us. The World doesn’t want to kill us. The World only wants to Live Free. We ( not as Americans but as Global Citizens ) have as much right and are as welcome to this new reality as anyone one else. But certainly it is something that we must join as opposed to demanding as we always do that the rest of the world join us. 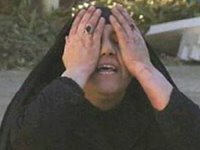 Although Iran and Israel are bitter enemies, few know that Iran is home to the largest number of Jews anywhere in the Middle East outside Israel. 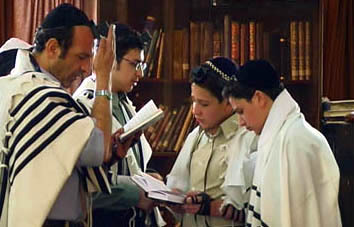 About 25,000 Jews live in Iran and most are determined to remain no matter what the pressures - as proud of their Iranian culture as of their Jewish roots.It is dawn in the Yusufabad synagogue in Tehran and Iranian Jews bring out the Torah and read the ancient text before making their way to work. It is not a sight you would expect in a revolutionary Islamic state, but there are synagogues dotted all over Iran where Jews discreetly practise their religion. "Because of our long history here we are tolerated," says Jewish community leader Unees Hammami, who organised the prayers. He says the father of Iran's revolution, Imam Khomeini, recognised Jews as a religious minority that should be protected. As a result Jews have one representative in the Iranian parliament. Torture in Iraq is reportedly worse now than it was under deposed president Saddam Hussein, the United Nations' chief anti-torture expert said Thursday. Manfred Nowak described a situation where militias, insurgent groups, government forces and others disregard rules on the humane treatment of prisoners. "What most people tell you is that the situation as far as torture is concerned now in Iraq is totally out of hand," said Nowak, the global body's special investigator on torture. "The situation is so bad many people say it is worse than it has been in the times of Saddam Hussein." Nowak, an Austrian law professor, was in Geneva to present a report on detainee conditions at the U.S. prison camp in Guantanamo Bay, as well as to brief the UN Human Rights Council, the global body's top rights watchdog, on the situation of torture in countries around the world. He said that some allegations of torture in Iraq he received were undoubtedly credible. Government forces were among the perpetrators, Nowak said, citing ``very serious allegations of torture within the official Iraqi detention centres. "You have terrorist groups, you have the military, you have police, you have these militias. There are so many people who are actually abducted, seriously tortured and finally killed," Nowak told reporters at the UN's European headquarters. "It's not just torture by the government. There are much more brutal methods of torture you'll find by private militias." At least 6,599 civilians were killed across war-torn Iraq in the months of July and August, the United Nations said Wednesday.In July at least 3,590 people were killed and in August 3,009 died in bloody attacks on civilians, according to the UN human rights report. "The month of July witnessed an increase in the number of security related incidents resulting in an unprecedented number of civilians killed throughout the country," the report said. "Although the number of killings decreased at the beginning of August, further increases were evident towards the end of the month in Baghdad and other governorates." The country is in the grip of a bitter conflict between the newly empowered Shiite majority and the ousted Sunni Arab elite that has left thousands dead since February. UN Secretary General Kofi Annan on Monday warned that Iraq was on the brink of all-out civil war. The wounded die alone on Baghdad's streets. An offer of aid could be your own death sentence, an Iraqi reporter writes. Where is the seat of global justice? Address by His Excellency Dr. Mahmoud Ahmadi-Nejad. President of the Islamic Republic of Iran before the 61 st Session of the United Nations general assembly. Terrorism News tends to get asked a very high number of repeated questions and we have decided on the idea of including a FAQ to deal with such questions. Before we commence I am wondering if any of the readers of Terrorism News have any questions about the site . Our motives , the team , its purpose or anything else that has been asked many times before. We are giving anyone who so desires the chance to submit a question that we may well include an answer in the above mentioned FAQ. Anyone who has such a question that would not normally be considered 'on topic' is invited to put their question to us direct, to help us with the creation of a FAQ by sending an email with their question to. Note : All emails are considered as acceptable to publish unless clearly stated by the author. Please also note that any such questions left in comment threads will be ignored and subject to deletion. Apart from that any questions or suggestions are most welcome and will be looked at. A short movie about what we are. As I was walking back outside, gunfire erupted all around us. It turns out the Ministry of Health FPS had gotten into a firefight with nearby FPS officers from the Ministry of Electricity, which is not run by a al-Sadr supporter. Unfortunately, my crew was caught in the middle. French President Jacques Chirac today suggested that the international community renounce referring Iran to the UN Security Council during nuclear talks – and that Iran, in return, suspend uranium enrichment. 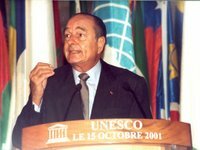 “I don’t believe in a solution without dialogue,” Chirac said on Europe-1 radio, suggesting that the international community suspend the threat of UN sanctions in exchange for Iran’s suspension of enrichment during negotiations. 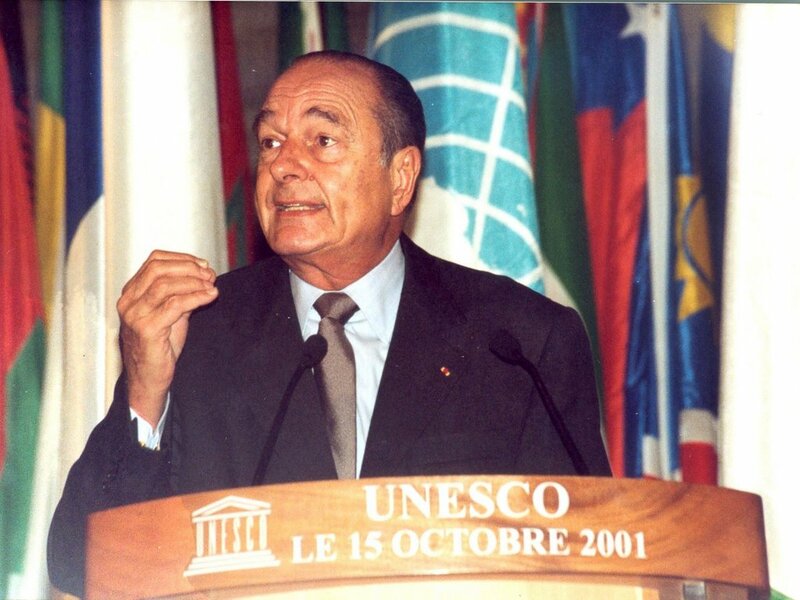 “I am not pessimistic,” Chirac said. He suggested that both sides set an agenda for talks – and that both make a concession during the negotiations. He said the six nations currently involved in the Iran issue – France, Germany, Britain, Russia, China and the United States first set an agenda for talks with Iran. “We must, on the one hand, together, Iran and the six countries, meet and set an agenda for negotiations then start negotiations. Then, during these negotiations I suggest that the six renounce seizing the UN Security Council and Iran renounces uranium enrichment during negotiations, “ Chirac said. NATO's estimate of Taliban killed this month has created skepticism and worry in Afghanistan, with local officials saying that either the militant force has grown bigger than imagined - or too many innocent Afghans are being killed. NATO says its forces, backed by the Afghan army, have killed more than 500 Taliban militants near Afghanistan's main southern city of Kandahar in Operation Medusa, a sweep launched Sept. 2. The figures, if accurate, make it the deadliest battle since U.S. warplanes bombed the extremist militia, host of Osama bin Laden, out of power in late 2001. "If they kill that many, the Taliban must have thousands of fighters on that front," said Mohammed Arbil, a former Northern Alliance commander. In the recent past, Taliban units have been described in terms of dozens or hundreds at most. The end of the Cold War should have made the Israel-as-a-strategic-asset paradigm obsolete. But after 9/11 and against the backdrop of the Iraq War, neoconservatives succeeded in marketing the notion that the United States and Israel were now being brought together in a strategic alliance against "Islamo-fascism" and a global intifada. 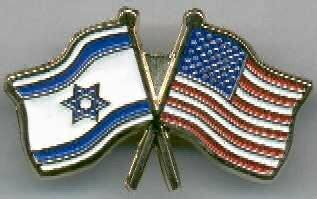 This alliance would operate in the form of an American sheriff and its Israeli deputy--American hegemony in the region with certain military tasks subcontracted to Israel. Israeli-Arab peacemaking was placed on the policy backburner. The neoconservative message has been that the United States needs to adopt more of the Israeli-tough methods in dealing with Middle Eastern terrorists and Bad Guys (since Arabs only understand force, etc. ), which the Americans have been trying to do in Iraq with very little success. In the process, the Bush Administration has strengthened Iran--which, of course, runs contrary to both American and Israeli interests. Now the same sense of irony could be applied to the disastrous outcome of the Israeli military operation in Lebanon, which could help enhance the status of Iran (and Syria) in the region. So it is not surprising that neocons like Charles Krauthammer are angry and confused. In his unique form of Israel bashing, Krauthammer in a column in The Washington Post blamed Israel for not playing its part as a "strategic asset" of the United States in the Middle East, based on his own America-and-Israel-defeat-the-bad-guys script. Suggesting that America had given Israel the green light to attack Hizballah in Lebanon not as a favor to Israel, but as an act of clear [U.S.] self-interest, Krauthammer explained: "America needs a decisive Hizballah defeat." Hence, it was "Israel's rare opportunity to demonstrate what it can do for its great American patron." The United States "has gone far out on a limb to allow Israel to win and for all this to happen," counting on "Israel's ability to do the job." And "it has been disappointed." It seems that Israeli Prime Minister Ehud Olmert's "search for victory on the cheap has jeopardized not just the Lebanon operation but America's confidence in Israel as well." Soldiers have entered Government House and tanks have moved into position around the building in Thailand in what can only be described as a military coup. Thai Prime Minister Thaksin Shinawatra has responded by declaring a state of emergency in Bangkok. Mr Thaksin who is currently out of the country attending the United Nations in New York stated that he had removed the chief of the army and had ordered troops to cease any attempts to "move illegally". It appears that conflict is imminent as two separate army factions have now declared their allegiance. One side backing the prime minister and the other side backing a rebel army chief. Extraordinary Rendition, Torture and Disappearances in the "War on Terror"
Human rights groups and several public inquiries in Europe have found the U.S. government, with the complicity of numerous governments worldwide, to be engaged in the illegal practice of extraordinary rendition, secret detention, and torture. The U.S. government-sponsored program of renditions is an unlawful practice in which numerous persons have been illegally detained and secretly flown to third countries, where they have suffered additional human rights abuses including torture and enforced disappearance. No one knows the exact number of persons affected, due to the secrecy under which the operations are carried out. European Union foreign ministers agreed on Friday to back a Palestinian national unity government being formed by President Mahmoud Abbas with the Hamas Islamist movement, despite U.S. misgivings. "We agreed that we have to support the new Palestinian government. It's a very important turning point for the situation," Italian Foreign Minister Massimo D'Alema told Reuters. "(EU foreign policy chief) Javier Solana told us in the platform there will be recognition by the new government of the treaty signed by the Palestinian Authority in the past -- it means recognize Israel as a partner," D'Alema said. The EU and the United States have boycotted the Hamas-led government formed in March because it refused to recognize Israel, renounce violence and accept past peace accords.Washington said on Thursday it saw no grounds so far to lift the embargo on contacts and aid.But many European governments are anxious to end the stand-off, which has contributed to aggravated poverty and lawlessness in the Palestinian territories. On the 7th of July 2005 London was hit by a series of explosions. You probably think you know what happened that day. But you don’t. The police have, from the onset of their investigation, chosen to withold from the public almost every bit of evidence they claim to have and have provably lied about several aspects of the London Bombings. The mainstream news has wilfully spread false, unsubstantiated and unverifiable information, while choosing to completely ignore the numerous inconsistencies and discrepancies in the official story. The government has finally, after a year, presented us with their official ‘narrative’ concerning the event. Within hours it was shown to contain numerous errors, a fact since admitted by the Home Secretary John Reid. The government has finally, after a year, presented us with their official ‘narrative’ concerning the event. Within hours it was shown to contain numerous errors, a fact since admitted by the Home Secretary John Reid. They have continuously rejected calls for a full, independent public inquiry. Tony Blair himself described such an inquiry as a ‘ludicrous diversion’. What don’t they want us to find out? A US Senate committee has defied President George W Bush by approving legislation to set up trials for foreign terrorism suspects. The panel voted 15-9 to back the bill, which Mr Bush has vowed to block. Ex-Secretary of State Colin Powell has backed Republicans opposing legislation sponsored by Mr Bush that would allow military tribunals at Guantanamo Bay.Correspondents say the split within the party risks damaging its prospects in November's mid-term elections. Four Republican senators joined opposition Democrats on the Armed Services Committee to approve their measure instead of the tougher bill put forward by the president. The senators argued that Mr Bush's proposals would effectively redefine the Geneva Conventions to allow harsh treatment of detainees held at the Guantanamo Bay camp in Cuba. The rebels include three prominent senators, John McCain, John Warner and Lindsey Graham, who say Mr Bush's bill would do further damage to America's moral authority. The three were joined by Mr Powell, who said in a letter that redefining the Geneva Conventions would put American troops at risk. "The world is beginning to doubt the moral basis of our fight against terrorism," Mr Powell said.
' 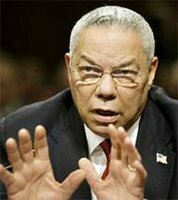 Beginning to doubt".... Politely put Mr Powell , The world began to doubt the moral basis of the fight against terrorism when the US invaded Iraq. Approving this legislation is a tiny step in the correct direction. Correcting the moral basis would certainly never happen under this administration. 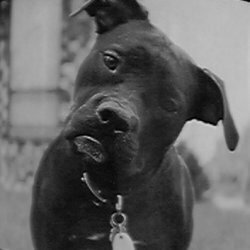 They have already shown the morality of their view and it is not morality at all under everybody Else's understanding. Damage limitation is obviously a good thing and I support this legislation. But let us not kid ourselves in to thinking that the problem is so narrow. Respect will only be returned when genuine morality is returned to the US government. For every step that the US senate makes , be assured that the likes of John Bolton will continue to undo that credit each and every time they opens their mouth. 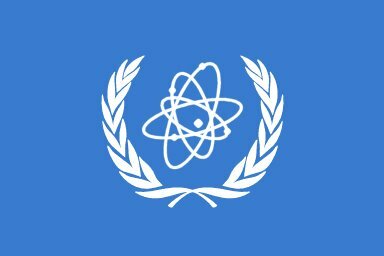 The UN nuclear watchdog has protested to the US government over a report on Iran's nuclear programme it called "outrageous" and "dishonest" . In a letter, the IAEA said a congressional report suggested Iran's programme was more advanced than had actually been determined. The agency also took "strong exception" to claims made over the removal of a senior safeguards inspector. The IAEA said the letter was sent to "set the record straight on the facts". "This is a matter of the integrity of the IAEA and its inspectors," spokeswoman Melissa Fleming said in a statement. The letter, signed by a senior official at the International Atomic Energy Agency, says the 23 August report by the US House intelligence committee contains "erroneous, misleading... information". It says the report was wrong to say that Iran had enriched uranium to weapons-grade level when the IAEA had only found small quantities of enrichment at far lower levels. The letter also said the report was wrong to suggest that the IAEA had removed Chris Charlier for not adhering to an alleged IAEA policy barring its "officials from telling the whole truth" about Iran. The chief judge in Saddam Hussein's trial has said the former Iraqi leader was not a dictator, but had only been made to seem like one by his aides.The controversial comments come a day after Judge Abdullah al-Amiri was accused of bias towards the defence. During the court session, a Kurdish man recalled a 1989 audience with Saddam Hussein, which he had hoped would secure freedom for his jailed family. 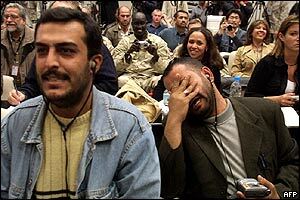 The exchange between the judge and Saddam Hussein came after the testimony of Abdullah Mohammed Hussain. 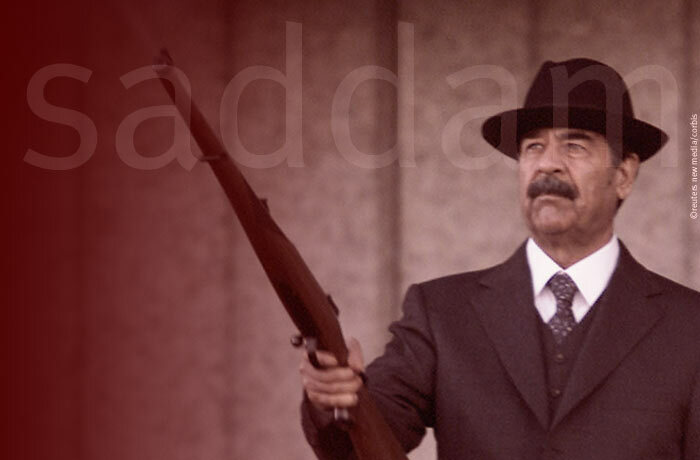 Saddam Hussein asked the 57-year-old witness: "Why did you try to meet me when you knew I was a dictator?" "You were not a dictator. People around you made you [look like] a dictator," the judge said. "Thank you," Saddam Hussein replied. I have a feeling that comment will not go down well with the West. Saddam was certainly a dictator as far as I am concerned. A dictator who was empowered and propped up by the West. But still a dictator. Expect to see yet another Judge being removed/resigning from the trial shortly. Senior Syrian government official have accused the US of being behind Tuesday's assault on its own embassy in downtown Damascus. A Baath party official, speaking on the condition of anonymity, told WorldNetDaily, "We in the government are 100 percent sure America was behind this attack, which is not the same as other attacks by Islamic groups." 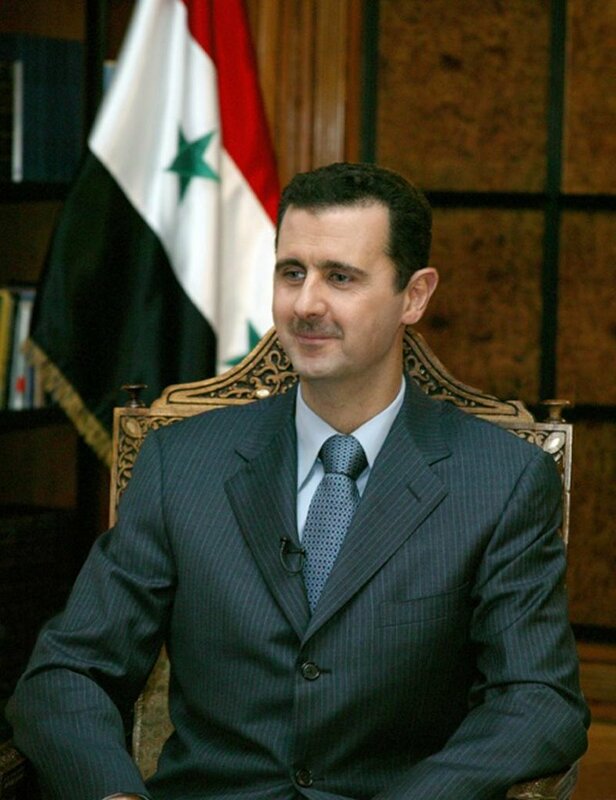 He explained, "Only the Americans can succeed in carrying out an attack just 200 meters from President [Bashar] Assad's residence in the most heavily guarded section of Syria." The official charged that Washington had orchestrated the attack to "prove Syria is filled with terrorists and to put us in a weak position" in order to extract political concessions. Following the attack, Bush administration officials said they hoped the incident had convinced Damascus of the dangers of Islamic terror and the need to cooperate with the West against the phenomenon. The US and several of its European allies have repeatedly demanded over the years that Damascus close down the local offices and training camps of several organizations hostile to Israel and the West. The identities of those who attacked the US embassy Tuesday have not been revealed. Three of the gunmen were killed by Syrian guards during the assault. A fourth was reportedly captured. Chalmers Johnson once made a remark about the maddeningly contradictory statements of the Bush Administration. This video perhaps explains them. U.S. officials praised Syrian security forces for thwarting Tuesday's attack on the U.S. Embassy in Damascus despite the usually tense relationship with the Middle Eastern country. The Syrians killed three attackers and apprehended a suspect outside the embassy after a car exploded near the walls of the American compound, the Syrian Information Ministry said. "I do think the Syrians reacted to the attack in a way that helped to secure our people, and we very much appreciate that," U.S. Secretary of State Condoleezza Rice said while visiting Canada. Iran, Syria, North Korea and more than 100 other nations are pushing to broaden the world's definition of "terrorism" to include the U.S. occupation of Iraq and the Israeli invasion of Lebanon. Converging on Fidel Castro's communist Cuba for a summit this week, members of the Nonaligned Movement complain of a double standard: powerful nations like the United States and Israel decide for the world who the terrorists are, but face no punishment for their own acts of aggression. A draft of the group's joint declaration condemns "terrorism in all its forms," especially violence that targets civilians. 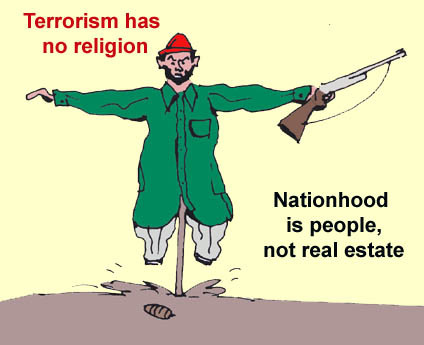 Terrorism should not be associated with any religion or nationality, says the draft. It singles out a favored phrase of President Bush in declaring that member countries "totally reject the use of the term 'axis of evil' by a certain state to target other states under the pretext of combating terrorism." A Cuban official said sarcastically on Tuesday that the U.S. could one day accuse the entire Nonaligned Movement of supporting terrorism. "Reading some news reports ... I'm left to believe that the axis of evil is growing," said Abelardo Moreno, Cuba's vice foreign minister. "Soon, the (axis of evil) will be made up of 118 countries." Cuba says the U.S. is particularly hypocritical in the case of a former CIA operative and Castro foe wanted in Venezuela in the 1976 bombing of a Cuban jetliner from Caracas that killed 73 people. 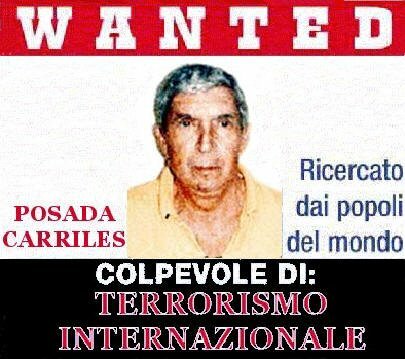 On Monday, as the U.S. sought global support for its response to the Sept. 11 attacks five years ago, a federal magistrate in Texas said Luis Posada Carriles should be released while he waits to be deported anywhere but Cuba or Venezuela, where the U.S. fears he could be tortured. A Cabinet minister is due to denounce Guantanamo Bay detention centre as a "shocking affront to the principles of democracy", it has emerged. The Lord Chancellor, Lord Falconer, is expected to voice the most outspoken criticism of US terror policy yet made by a senior minister. He will accuse the US of "deliberately seeking to put the detainees beyond the reach of the law in Guantanamo Bay". He will make the comments in a speech in Sydney, Australia, on Wednesday. Two Hollywood films mark 9/11's fifth anniversary: Paul Greengrass's United 93 and Oliver Stone's World Trade Center. Both adopt a terse, realistic depiction of ordinary people in extraordinary circumstances. There is undoubtedly a touch of authenticity to them and most critics have praised their sober styles and avoidance of sensationalism. But it is the touch of authenticity that raises some disturbing questions. The realism means that both films are restrained from taking a political stance and depicting the wider context of the events. Neither the passengers on United 93 nor the policemen in WTC grasp the full picture. All of a sudden they find themselves in a terrifying situation and have to make the best out of it. This lack of "cognitive mapping" is crucial. All we see are the disastrous effects, with their cause so abstract that, in the case of WTC, one can easily imagine exactly the same film in which the twin towers would have collapsed as the result of an earthquake. What if the same film took place in a bombed high-rise building in Beirut? That's the point: it cannot take place there. Such a film would have been dismissed as "subtle pro-Hizbullah terrorist propaganda". The result is that the political message of the two films resides in their abstention from delivering a direct political message. It is the message of an implicit trust in one's government: when under attack, one just has to do one's duty. This is where the problem begins. The omnipresent invisible threat of terror legitimises the all-too-visible protective measures of defence. The difference of the war on terror from previous 20th-century struggles, such as the cold war, is that while the enemy was once clearly identified as the actually existing communist system, the terrorist threat is spectral. It is like the characterisation of Linda Fiorentino in The Last Seduction: most people have a dark side, she had nothing else. Most regimes have a dark oppressive spectral side, the terrorist threat has nothing else. The power that presents itself as being constantly under threat and thus merely defending itself against an invisible enemy is in danger of becoming a manipulative one. Can we really trust those in power, or are they evoking the threat to discipline and control us? Thus, the lesson is that, in combating terror, it is more crucial than ever for state politics to be democratically transparent. 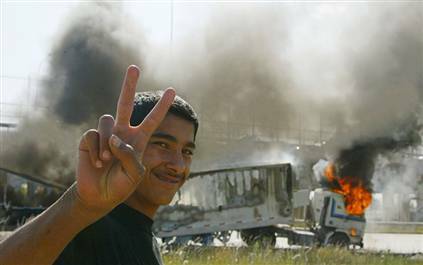 Unfortunately, we are now paying the price for the cobweb of lies and manipulations by the US and UK governments in the past decade that reached a climax in the tragicomedy of the Iraqi weapons of mass destruction. Recall August's alert and the thwarted attempt to blow up a dozen planes on their way from London to the US. No doubt the alert was not a fake; to claim otherwise would be paranoiac. But a suspicion remains that it was a self-serving spectacle to accustom us to a permanent state of emergency. What space for manipulation do such events - where all that is publicly visible are the anti-terrorist measures themselves - open up? Is it not that they simply demand too much from us, the ordinary citizen: a degree of trust that those in power lost long ago? This is the sin for which Bush and Blair should never be forgiven. What, then, is the historical meaning of 9/11? Twelve years earlier, on November 9, 1989, the Berlin wall fell. The collapse of communism was perceived as the collapse of political utopias. Today, we live in a post-utopian period of pragmatic administration, since we have learned the hard lesson of how noble political utopias can end in totalitarian terror. But this collapse of utopias was followed by 10 years of the big utopia of global capitalist liberal democracy. November 9 thus announced the "happy 90s", the Francis Fukuyama dream of the "end of history", the belief that liberal democracy had, in principle, won, that the search was over, that the advent of a global, liberal community was around the corner, that the obstacles to this Hollywood happy ending are merely local pockets of resistance where the leaders have not yet grasped that their time is over. September 11 is the symbol of the end of this utopia, a return to real history. A new era is here with new walls everywhere, between Israel and Palestine, around the EU, on the US-Mexico and Spain-Morocco borders. It is an era with new forms of apartheid and legalised torture. As President Bush said after September 11, America is in a state of war. But the problem is that the US is not in a state of war. For the large majority, daily life goes on and war remains the business of state agencies. The distinction between the state of war and peace is blurred. We are entering a time in which a state of peace itself can be at the same time a state of emergency. When Bush celebrated the thirst for freedom in post-communist countries as a "fire in the minds of men", the unintended irony was that he used a phrase from Dostoevsky's The Possessed, where it designates the ruthless activity of radical anarchists who burned a village: "The fire is in the minds of men, not on the roofs of houses." What Bush didn't grasp is that on September 11, five years ago, New Yorkers saw and smelled the smoke from this fire. Were the lives of those killed at the World Trade Centre more valuable than the innocents murdered in Chile's US-backed coup, asks Tito Tricot. Our dreams were shattered one cloudy morning when the military overthrew the democratically elected government of Salvador Allende. Twenty-nine years later, at midday, Chile's's firemen sounded their sirens paying tribute to thousands of men and women who lost their lives without really understanding what was happening. It was a moment of remembrance, not for the victims of the military coup, but for those killed at the World Trade Centre in New York. Sad as that might have been, it is even sadder that Chilean firemen have never sounded their sirens to remember our own dead. And there are thousands of them, including many children, who were murdered by the military. 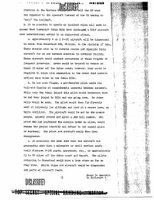 As reported by ABC News, stunning military documents codenamed "Operation Northwoods" were declassified in recent years and show how in 1962, the top US military leaders planned an operation to create terror attacks against its own cities and kill US citizens. The documents state that through the fabrication of false evidence, the US would blame Cuba and gain public support for an unpopular war against Castro. They included developing a fake Communist Cuban terror campaign in the Miami area, the use of airplanes, and much more. What motivated the 9/11 hijackers to attack the US? US foreign policy bias for Israel in the Israeli-Palestinian conflict and US government support for other oppressive regimes in the Middle East. "What motivated them to do it?" The 'claimed' video of Osama' with the'9/11 Hijackers ? 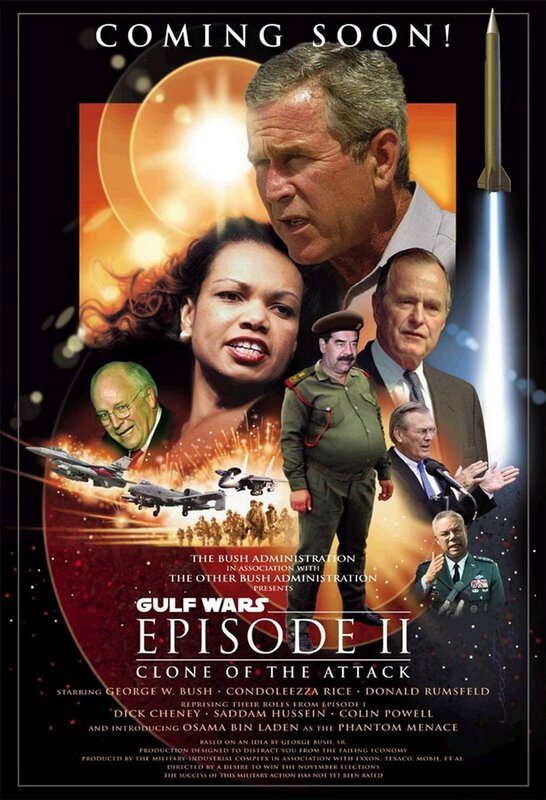 What does not surprise me is that yet again the timing of this release seems to have more value to the Bush Administration than it does to Al-Qaeda. 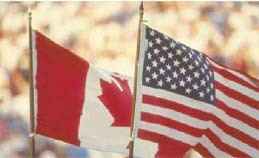 A majority of Canadians believe U.S. foreign policy was one of the root causes that led to the Sept. 11, 2001 attacks, and Quebecers are quicker to criticize the U.S. administration for its international actions than other Canadians, a recent poll suggests. Those conclusions are found in a newly released poll conducted by Léger Marketing for the Association for Canadian Studies.The poll suggests that 77 per cent of Quebecers polled primarily blame American foreign policy for the Sept. 11 attacks. The results suggest 57 per cent in Ontario hold a similar view. 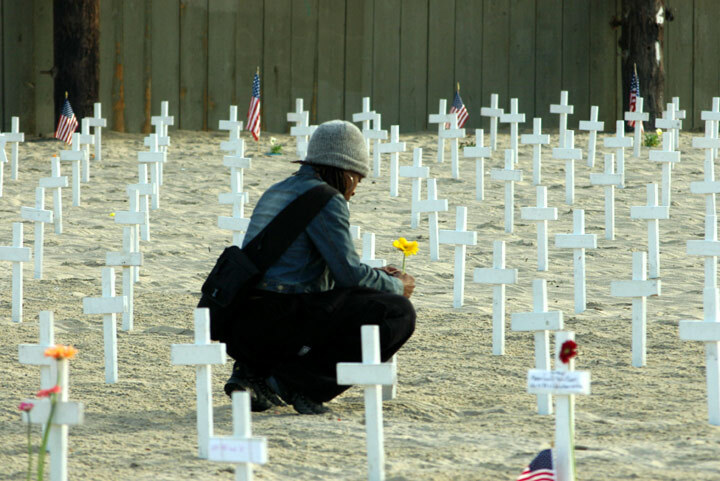 A musical tribute to mark the 5th anniversary of the terrorist attacks of september 11th 2001. On 911 a great divide began throughout the world... you're either with us, or you're with the terrorists. Video documenting the the conflicts of interest of the 9/11 commission and the many distortions of their final report. There is no evidence of formal links between Iraqi ex-leader Saddam Hussein and al-Qaeda leaders in Iraq prior to the 2003 war, a US Senate report says. The finding is contained in a 2005 CIA report released by the Senate's Intelligence Committee on Friday. US President George W Bush has said that the presence of late al-Qaeda leader Abu Musab al-Zarqawi in Iraq before the war was evidence of a link. Opposition Democrats say the report has harmed Mr Bush's case for going to war. The BBC's Justin Webb in Washington says that the US president has again and again tried to connect the war in Iraq, which most Americans think was a mistake, with the so-called war on terror, which has the support of the nation. The report comes as Mr Bush makes a series of speeches on the "war on terror" to coincide with the fifth anniversary of the 11 September attacks. The report is the second part of the committee's analysis of pre-war intelligence. The first dealt with CIA failings in its assessment of Iraq's weapons programme. The committee concluded that the CIA had evidence of several instances of contacts between the Iraqi authorities and al-Qaeda throughout the 1990s but that these did not add up to a formal relationship. It added that the government "did not have a relationship, harbour or turn a blind eye toward Zarqawi and his associates". It said that Iraq and al-Qaeda were ideologically poles apart. "Saddam Hussein was distrustful of al-Qaeda and viewed Islamic extremists as a threat to his regime, refusing all requests from al-Qaeda to provide material or operational support," it said. The Senate report added that the Iraqi regime had repeatedly rejected al-Qaeda requests for meetings. It also deals with the role played by inaccurate information supplied by Iraqi opposition groups in the run-up to the war. Another poignant animation from Mark Fiore . Can we still turn this thing around, or is America doomed to follow this administration straight to our country's destruction? U.S. President George W. Bush has acknowledged for the first time that suspects accused of terrorism have been detained abroad in secret CIA prisons. The official admission on Wednesday confirmed rumours and media reports that have stirred controversy for months, both in the United States and in countries accused of hosting the facilities. The US War Crimes Act of 1996 makes it a felony to commit grave violations of the Geneva Conventions. The Washington Post recently reported that the Bush administration is quietly circulating draft legislation to eliminate crucial parts of the War Crimes Act. Observers on The Hill say the Administration plans to slip it through Congress this fall while there still is a guaranteed Republican majority--perhaps as part of the military appropriations bill, the proposals for Guantánamo tribunals or a new catch-all "anti-terrorism" package. Why are they doing it, and how can they be stopped?